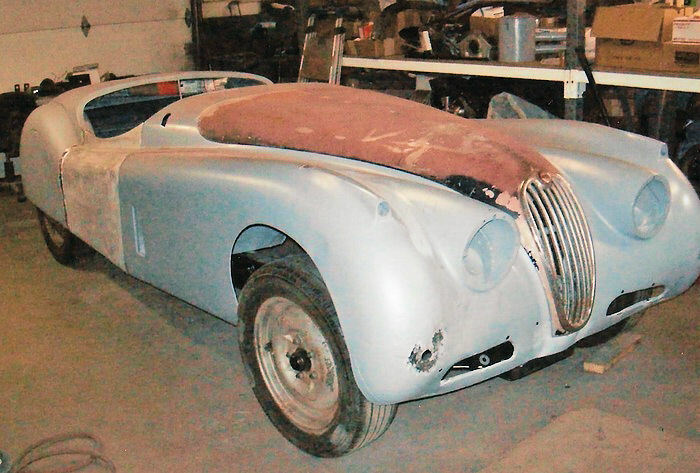 Our customer [Scott] began this '56 XK140 roadster project with only a frame and an engine. 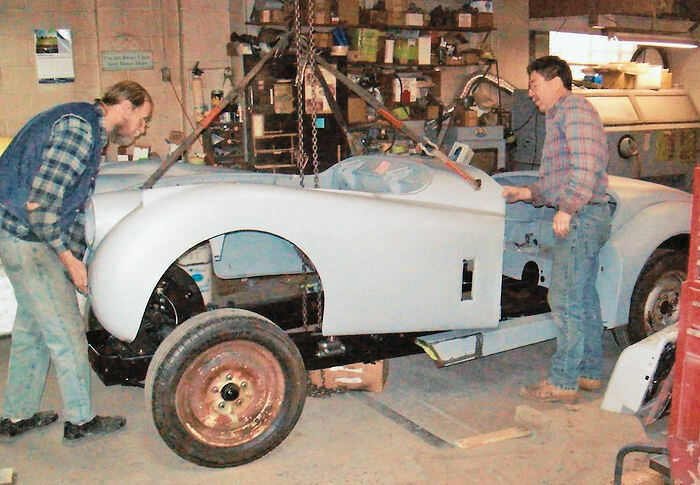 He asked us to find and build a body for him. 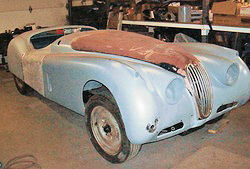 With only 3281 left-hand drive XK140 roadsters leaving the factory, this is a rare old car. 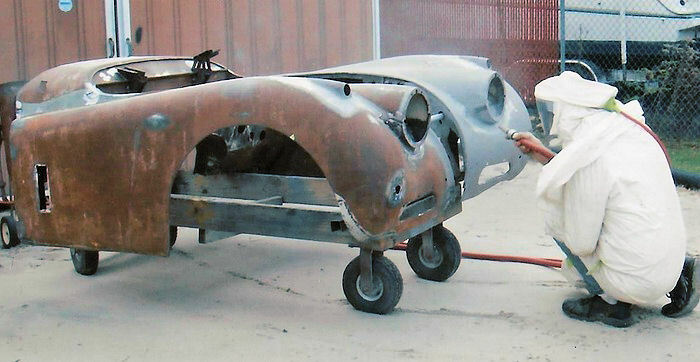 Usable spare body parts will be very tough to find and will make this a challenging restoration. 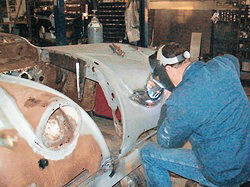 This is an ongoing project and will be on documented on this website over the next 6-8 months. 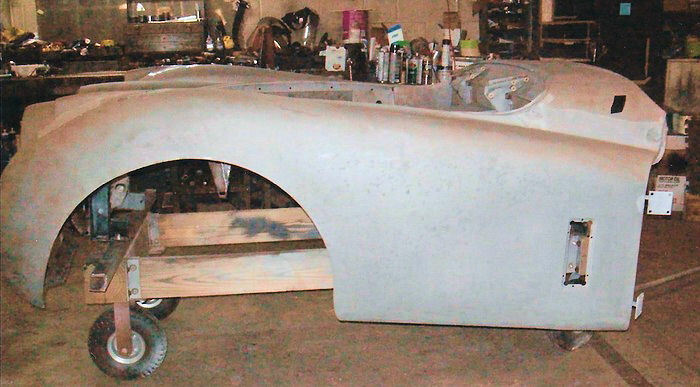 This front clip was one of many parts located for us by Mike Muller in Austin, Texas. 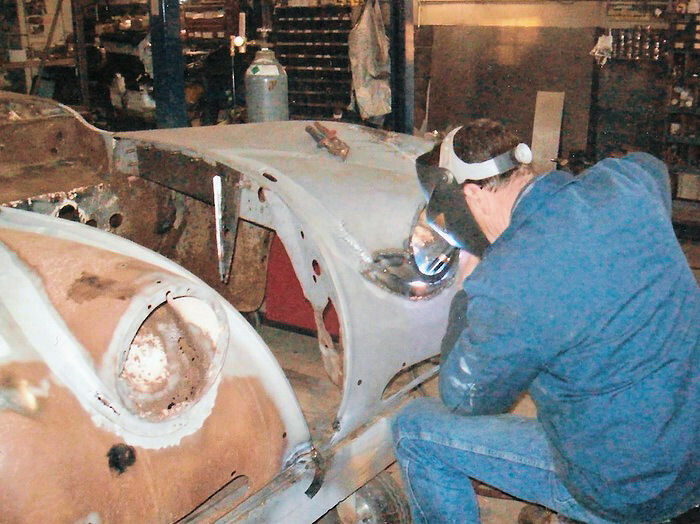 Overall, it has very little rust-through but will need significant repairs to correct some sheet metal modifications performed years ago. 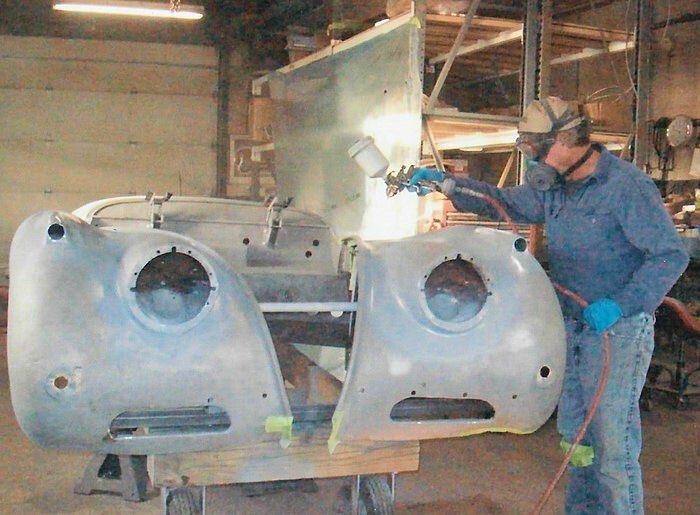 But first we're sandblasting away all traces of rust. 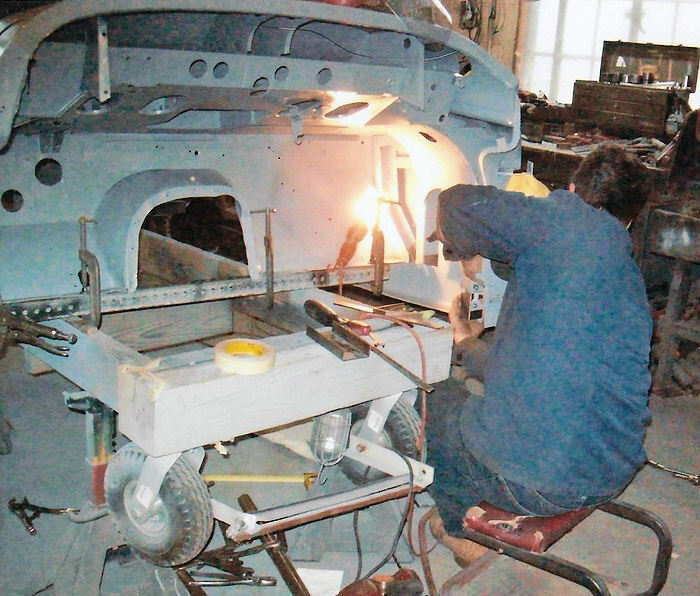 Front clip sheet metal repairs continue. Welding in new metal around headlight nacelles. 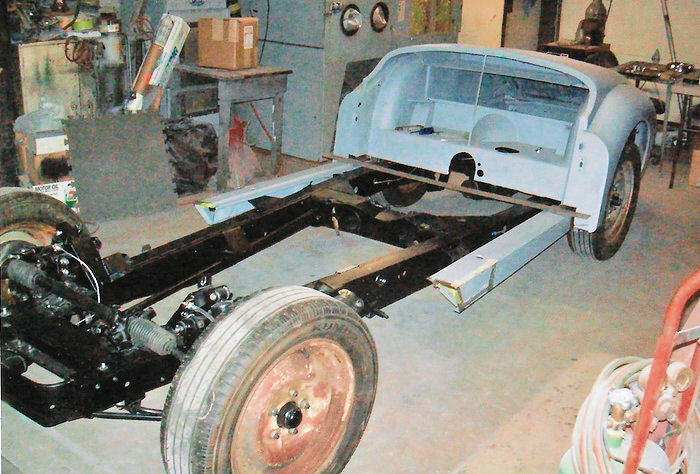 Front clip prepped and ready for epoxy primer. Terry shooting the epoxy primer onto the front clip. The rear clip being placed onto the frame. One of the few new sheet metal parts on this car are the new left and right-side sills. Adding the front clip to the frame for test fitting. 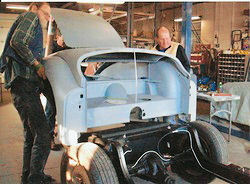 Right-hand door, bonnet and grill added for first check of panel fitment.